These teens find a new hero… and see they have power, too! Malala Yousafzai has inspired people all over the world with her activism and advocacy for girls, education, human rights, and peace. As the youngest Nobel Peace Prize winner ever, there’s something special about her story’s impact on teens her own age. on a school bus, their reactions were, not surprisingly, pretty emotional. They couldn’t believe that she boldly took her place on the world’s stage at the age of 14 years old (younger than some of them! ), taking a stand for the rights of every child to get an education and live free from violence and oppression. They thought of their own lives and had some pretty deep things to say about the issues that are important to them and what stops them — and many of their peers — from taking a stand. Learn more: on Huffington Post. A NOTE FROM #DearSisters: It’s been one year since our Chibok girls were kidnapped by Boko Haram from their school in Northern Nigeria, and 219 of them are still in captivity. Many of you have taken part in the #BringBackOurGirls campaign and have signed petitions to world leaders and Nigerian officials — but despite this, our girls are not home. For some of you, writing to a person who may never receive your letter might be a challenging task. If you’ve ever received a heartfelt letter during a difficult time, you know just how powerful a message of kindness and hope can be! 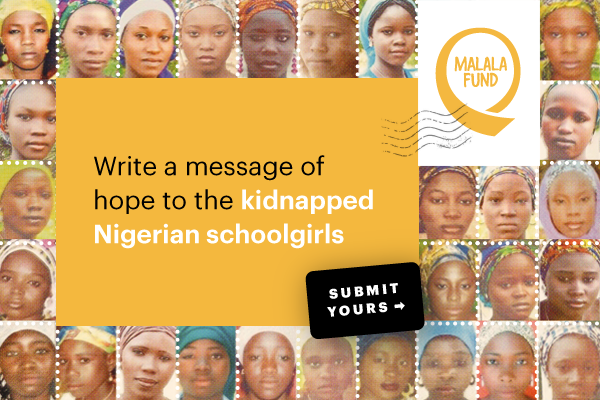 Will you take #DearSisters action and write a short letter to the missing girls? 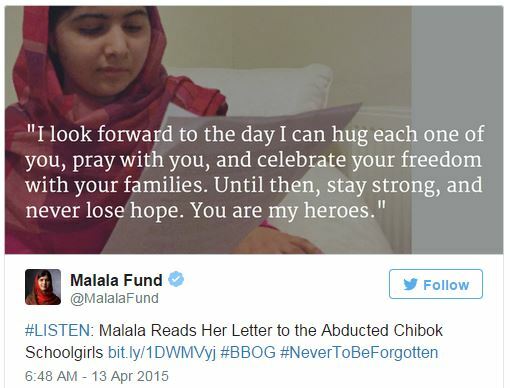 Malala has not given up hope to see the girls return to their families soon. We need you to unite your voice with Malala’s to tell the girls and their families that the world has not forgotten them. Let our sisters know that we are still with them, one year later. 4GGL thanks Upworthy and the Malala Fund for these stories! Upworthy is social media with a mission. 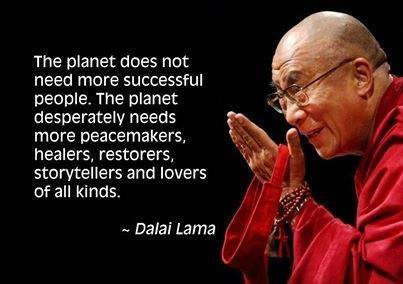 It draws massive amounts of attention to things that matter. Upworthy shares stories with its community, and they share it on to their friends and families = engaging a total of about 50 MILLION people each month on some of society’s most important topics. What do they find meaningful? Well, a lot, including: ensuring that women are seen as full human beings, poking holes in the belief that a small percentage of the world should own all the things, and making sure the Earth is around to see the next century. Next Post: Who’s Day Is Earth Day?